AudioValve puts most of their budget towards the sound quality of their design and components rather than all of the audio jewelry and marketable designs featured by some of the comparable sounding amplifiers on the market. On sound alone it outclasses its price point, as for performance, design, fit and finish it far exceeds our expectations and represents a truely exceptional product at double or triple it’s price catagory. Sound wise this amplifier delivers great tonality, world class 3D sound stage, a noise floor on par with all but the very best valve based amplifiers, and macro and micro dynamics in spades. 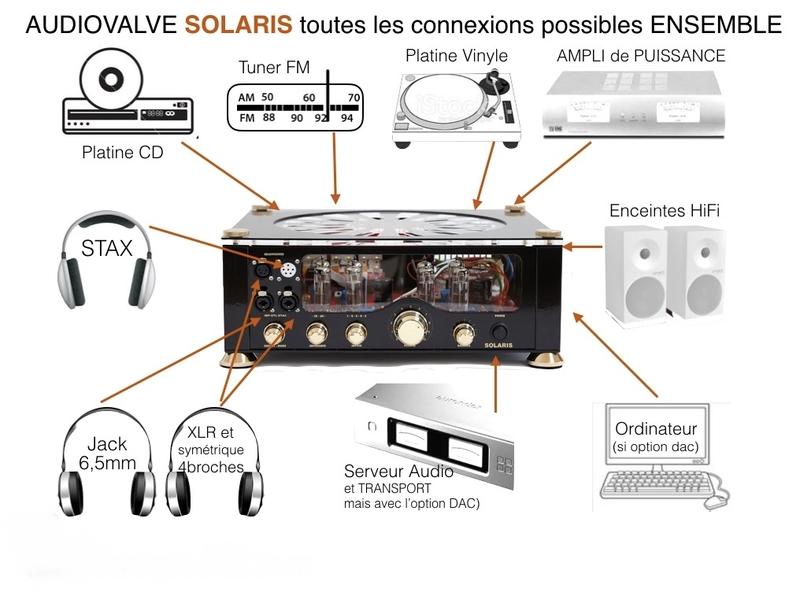 The sound quality of the Solaris is of absolute top reference level for a headphone tube amplifier. The pros to this are a very low noise floor, low distortions, high frequence range, high damping, very natural and musical tonality, wide impedance matching, perfect open soundstage and so on. This amp isn’t for the weak of heart – it is an audioholic’s dream. Highly recommended is an understatement, we can’t tell you how impressed we have been with the arrival of this headphone tube amplifer. Output is 8 to 12 watts depending on headphone impedance and incorporates speaker outputs to drive highly efficent monitors.